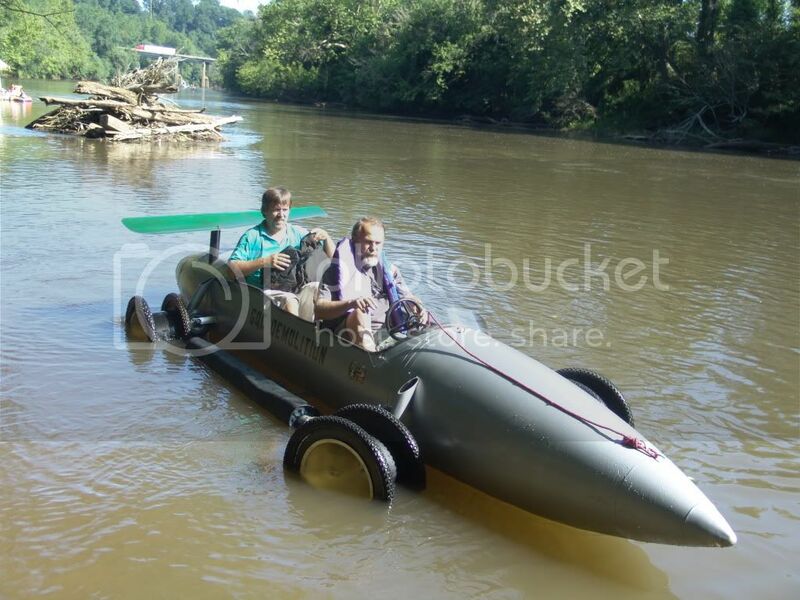 Mission Statement: RiverLink is a regional non-profit spearheading the economic and environmental revitalization of the French Broad River and its tributaries as a place to work, live and play. It's almost RiverFest time again! Sometimes I get the feeling people are overwhelmed when we talk about the Wilma Dykeman RiverWay, a 17-mile greenway anchored to the east by the Blue Ridge Parkway Headquarters, to the south by the NC Arboretum and to the north at the Botanical Gardens. Seventeen miles of continuous and linked walking and biking path seems so big,especially when you think we have been working on it for over 20 years and have only completed about five miles so far. But the hardest part is always the start of something ... the first time, the first greenway. Once people start using and enjoying them they start demanding more. We are finally reaching the point where the French Broad River Greenway and the Wilma Dykeman RiverWay are a destination. Our greenways have become the melting pot for our community and region and people of all ages, shapes and nationalities are discovering the river through walking and biking paths that run next to it. People are demanding more and more green space and greenways now that we are finally getting some in place. and it is a reality today. Now I must disclose the big picture and the real plan: linking greenways, bike paths and walking trails along the rivers, streams and creeks that make up the French Broad River watershed. The whole watershed. The Wilma Dykeman RiverWay is meant to be a demonstration project - an outdoor classroom - right in the heart of the tax and population base of the watershed where we encounter every issue and solve it and then go to the next place on the river and keep linking everything back to the water! But the Maine to Manteo link on the French Broad River watershed is real. And it is doable. The French Broad River is crossed several times in Madison County by the Appalachian Trail which extends 2,175 miles across the east coast of the USA from Maine to Georgia! The Mountains to the Sea Trail crosses the Swannanoa River as it travels 935 miles across North Carolina. And of course the French Broad and Swannanoa River connect through the Wilma Dykeman Plan. Here is my prediction: In the next 10 years we will connect the dots and implement the links between the Appalachian Trail in Madison County and the Mountains to the Sea Trail on the Swannanoa River in Buncombe County and it will be possible to go from Maine to Manteo using the French Broad River watershed. Trips will be organized by local tourism development folks with specials advertised by area hotels and bed and breakfasts across the region. Sports and recreation equipment shops will multiply as will campsites along the river. The airport will offer special Appalachian Trail charter trips and most importantly, the French Broad River watershed will be celebrated as it should be from Maine to Manteo - and beyond! Long-time RiverLink supporter and future board chair Denise Snodgrass is this year's recipient of the Circle of Excellence award from the Leadership Asheville Forum. She has generously decided that RiverLink will be the recipient of the $500 donation that goes along with the recognition. "The award recognizes community service and leadership and that's something I support," Snodgrass explains, "RiverLink is an important community leader providing a great service, so it seemed like a good organization to recieve the financial compensation that goes along with the award." Thanks, Denise, for the donation and all you have done for RiverLink and we look forward to working with you in the future. Just in time for the Voice of the River campaign, RiverLink announces another voice -- "The River Whisperer." It's updated daily and covers topics ranging from new species of fish - they have hands! - found in Australia to local greenways to cleanups to the latest FBR fishing report. Right now the primary author is Volunteer Coordinator Dave Russell, though other authors may be added soon. Check it out and leave a comment or two. Discussion is always encouraged. The Save the French Broad Raffle is back -- and we already have winners! The first drawing was June 1, with friends Julie Thomas and Keegan Eschenbauch winning the first round of prizes -- a whopping $611 worth of outdoor adventures and loot. Julie and Keegan will enjoy an ENO Doublenest Hammock, two Nantahala Outdoor Center passes for trips on any River, two Moody Cove tours from Navitat Canopy Tours, two tickets from LaZoom Bus Tours, RiverLink gear, and much more. You could be the next winner -- there are still five drawings to go, leading up to the grand prize drawing in March 2011. Just one $5 (three for $10) raffle ticket in the Save the French Broad River Raffle offers five more chances to win some great outdoor gear while supporting RiverLink's efforts to clean up the French Broad River. Tickets can be purchased at RiverLink, and we will also be selling tickets during the REI In-store Paddling Festival event of Sunday, June 6 from 11 a.m. -- 5 p.m.
Tickets can also be purchased online at www.riverlink.org. The next drawing is July 6. Prizes are: 1 High Gear Axiy mini altimeter watch; 1 Earthsports Design fanny pack; 1 "Hiking the Blue Ridge Parkway" guidebook; 2 Climbmax bouldering packages; 1 RiverLink gift pack; 2-day pass at Chimney Rock State Park; 1 entry into the Sunset Stampede Running Race; a 2-night stay at the Hampton Inn-Brevard; and 1 "The Perfect Christmas Tree" book from Mitchell County. For more Save the French Broad River Raffle information please visit, //www.riverlink.org/SavetheFBRRaffle.asp. Step up and do your part and win some great gear along with way! We will be closing our registration for RiverCamps on Friday, June 4th for the sake of scheduling. Our week for rising 3rd-5th graders (June 14-18) is almost full, but we still have a couple of slots open for our rising 6th-8th graders (July 5-9). Camp registration is $200, with a $25 registration fee. More details can be found on our website. Remember-registration is closed after this week! Contact RiverLink's Education Coordinator, Rebecca Childress, at education@riverlink.org or (828) 252-8474 x.11 if you have any questions. We sent out a call, and wow -- what an answer we got! A few weeks ago when we sent out a press release and posted a blog entry requesting cleanup supplies for the wildlife affected by the Gulf Coast oil mess. And now Skylar will be featured on the CBS Evening News with Katie Couric. 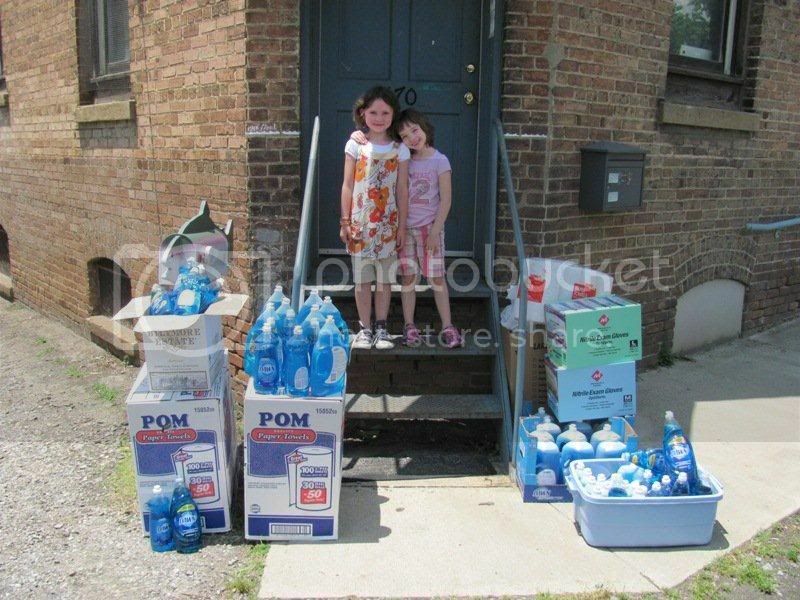 A producer for the show called RiverLink today to ask permission -- which we granted, of course -- to use the photo below ina June 3 segment on kids involved in the cleanup. Skylar (left in pic with her younger sister Zoie) really went to work on this after watching the news one evening. According to a story in her local paper, The Pilot, "Skylar felt the call to action while she was watching news reports about the spill on television. She remembers images of fish swimming in the oil. 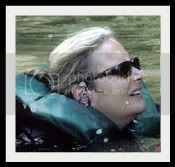 She later saw a commercial for Dawn liquid dish detergent depicting volunteers cleaning a baby penguin with the soap." The determined young lady stood up in front of her whole church and made an appeal, and her family was supportive enough to drive all the way here with three kids in a minivan. We were pleased to meet all of them and wish Skylar a brilliant future. Sounds like this young lady is going places! Mark your calendars now: RiverFest 2010 is Saturday, August 14! Start making your "yacht" for this year's Rockin' RiverFest, a FREE day long festival sponsored by Asheville Radio Group and RiverLink at French Broad River Park featuring the ever-popular raft competition, music competition featuring local bands, kids parade, live performances, local food and beverages, frisbee golf, kayak demonstrations and much more! There's something fun for everyone! We'll have a the registration page up and running within the next few days. Celebrity Judges will be selecting Grand Prize, 2nd and 3rd place winners for the raft competition based upon creativity and ingenuity. Non-profits can enter for free and receive up to $1000 in free on-air advertising with Asheville Radio Group! 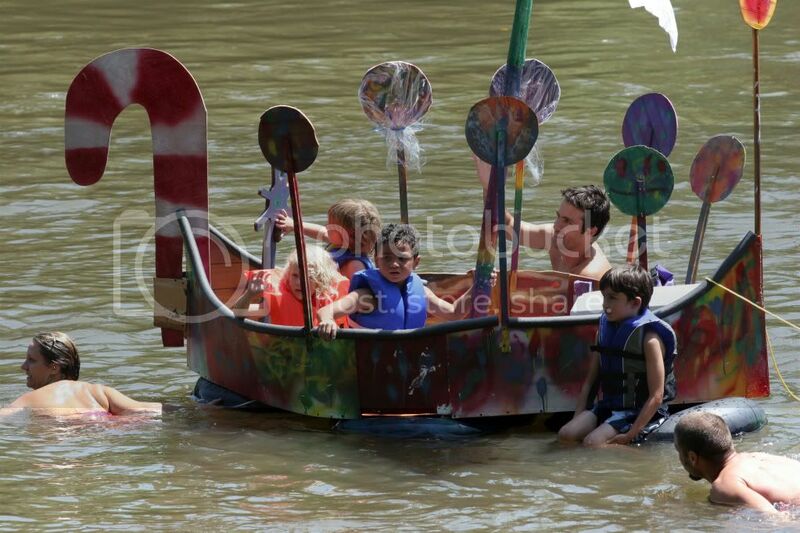 Raft competition registration is only $15 per raft (proceeds benefit RiverLink) and ends July 31. VOLUNTEERS will be needed to make this a fun & successful event! Once again we'll be calling on volunteer "captains" to help coordinate parking, kids' activities, raft race, etc. Captains will receive a RiverFest 2010 t-shirt, 2 drinks of choice and RiverLink hat and volunteers will receive a RiverFest 2010 t-shirt and drink of choice as a thank you for your hard work! Call Dave Russell at (828) 252-8474, ext. 18 or email dave@riverlink.org for more information on volunteering. Get your RiverLink rain barrel today; Conserve Tomorrow. Asheville receives an average of 4.38 inches of rain during the month of June. 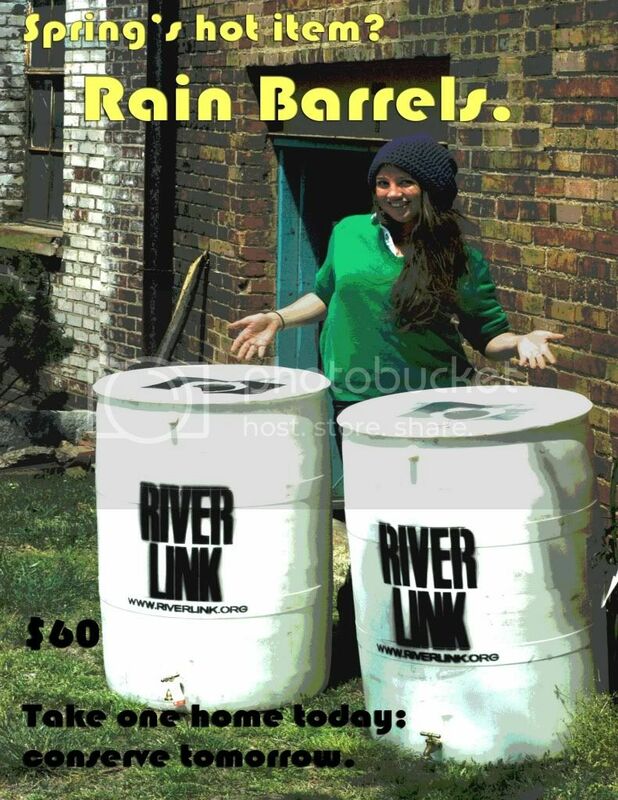 Why not collect and conserve some of that rain with one of RiverLink's rain barrels? These rain barrels are made from recycled 55 gallon drums from Highland Brewing Company! Connecting a rain barrel to your downspout is a great way to keep stormwater out of the system and cut down your water bill. Since you are accumulating rain straight from the roof, it contains few contaminants and is perfect for watering the garden. ~ Helps keep our creeks and rivers clean. ~ Produces naturally softened water -- perfect for delicate houseplants, gardens and window washing! ~ Chlorine-free water helps maintain a healthy biotic community in the soil. ~ Collected water has fewer sediments and dissolved salts than municipal water. ~ Watering a lawn and garden in the summer months comprises as much as 40 percent of household water use. A rain barrel saves money by providing free water, reducing your monthly utility bill. 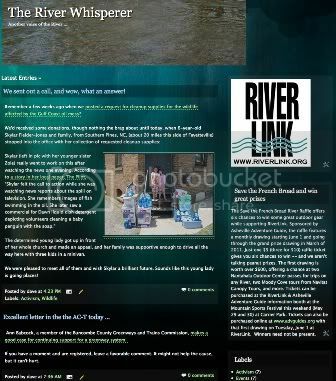 Purchase a rain barrel today online at RiverLink's French Broad River Yacht Club Tackle Shop for only $60, stop into RiverLink offices to say hello and pick up a rain barrel to go! Questions? 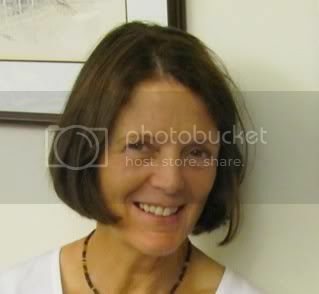 Shoot Kyle an e-mail at Kyle@RiverLink.org or give her a call 828.252.8474 x 17.
in the Gulf? We are. keeping up with the latest developments. Whether it's measured in water quality, trash-bags filled, tires removed, kids educated, or acres of greenspace, RiverLink's impact on the French Broad watershed is enormous. While RiverLink receives foundation and government grants for its big projects like our stream restoration efforts, these funds do not support other areas of our mission. We need funds to pay our small staff, keep the lights on and computers humming in our old warehouse office, maintain our presence in the community and schools, etc. RiverLink accomplishes these lofty goals with a tiny staff -- and help from you. Through the month of June, all donations to RiverLink will be matched dollar-for-dollar by a generous donor, so all donations really count now. You can make a secure donation by clicking on this link. September 26 is World Rivers Day! How do we want to celebrate it? How about a canoe trip down the River, culminating with a champagne toast at the RiverLink Sculpture Plaza? Tables with tablecloths and cheese platters and real glasses and speeches all around? 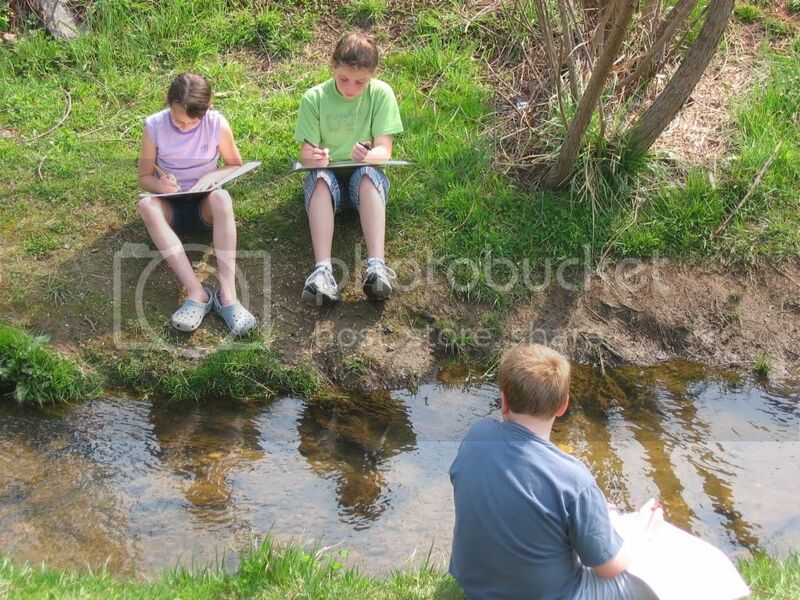 (short speeches) Let us know your ideas and come join us celebrating moving water around the world. Read more about it by clicking here. June 5 - Biltmore Lake Homeowners Association Cleanup of Hominy Creek. Meet at Lake clubhouse at 9 a.m. Call Dave at 252-8474, ext. 18 for more information. June 6 - REI In-Store Paddle Fest, 11 a.m. - 5 p.m.
June 12 - 13: Studio Stroll. Asheville's River Arts District Artists open their studios to the public for two days of festivities. 10 a.m. to 6 p.m. both days. 9 a.m. - 4 p.m. Lighten Up is at 60 Biltmore Ave.
Bob is probably best known for always saying "Thanks for the opportunity" when asked to do something. In the past month, he has taken two shifts working festival tables for RiverLink, including help with setup at the Mountain Sports Festival. He has volunteered to help out with the rafting trips for the RiverLink summer camps and will work the RiverLink table at the REI In-Store PaddleFest. Always smiling, Bob will offer his time and talents to RiverLink unless something more pressing calls. 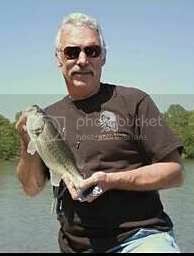 An avid fisherman, he comes to the Asheville area after serving as a guide on the Pigeon River for many years. He also volunteers for the Asheville Humane Society and the Blue Ridge Parkway. Thanks, Bob, and we'll see you at the next RiverLink event! The United States has 3,500,000 miles of rivers. The 600,000 miles of rivers lying behind dams amounts to fully 17% of our river mileage. The Missouri River is about 2,540 miles long, making it the longest river in the United States. The Nile is the longest river in the world at 4,132 miles as it travels northward from its remote headwaters in Burundi to the Mediterranean Sea. The 8 longest rivers in the U.S. are (in descending order) Missouri, Mississippi, Yukon, St. Lawrence (if you count the Great Lakes and its headwaters as one system), Rio Grande, Arkansas, Colorado, Ohio. The 8 largest rivers in the U.S., based on volume, are (in descending order) Mississippi, St. Lawrence, Ohio, Columbia, Yukon, Missouri, Tennessee, Mobile. The United States consumes water at twice the rate of other industrialized nations. The average single-family home uses 80 gallons of water per person each day in the winter and 120 gallons in the summer. Showering, bathing and using the toilet account for about two-thirds of the average family's water usage. During the 20th century, water use increased at double the rate of population growth; while the global population tripled, water use per capita increased by six times. Water used around the house for such things as drinking, cooking, bathing, toilet flushing, washing clothes and dishes, watering lawns and gardens, maintaining swimming pools, and washing cars accounts for only 1% of all the water used in the U.S. each year. Eighty percent of the fresh water we use in the U.S. is for irrigating crops and generating thermoelectric-power. More than 87% of the water consumed in Utah is used for agriculture and irrigation. Per capita water use in the western U.S. is much higher than in any other region, because of agricultural needs in this arid region. In 1985, daily per capita consumption in Idaho was 22,200 gallons versus 152 gallons in Rhode Island. A corn field of one acre gives off 4,000 gallons of water per day in evaporation. It takes about 6 gallons of water to grow a single serving of lettuce. More than 2,600 gallons is required to produce a single serving of steak. It takes almost 49 gallons of water to produce just one eight-ounce glass of milk. That includes water consumed by the cow and to grow the food she eats, plus water used to process the milk. About 6,800 gallons of water is required to grow a day's food for a family of four. The average American consumes 1,500 pounds of food each year; 1,000 gallons of water are required to grow and process each pound of that food-1.5 million gallons of water is invested in the food eaten by just one person! This 200,000-cubic-feet-plus of water-per-person would be enough to cover a football field four feet deep.